The aftereffects of Roseanne Barr's racist tweet Tuesday morning continue as reruns of "Roseanne," scheduled to air on Paramount Network, TV Land and CMT, will be cancelled as of tomorrow, a Viacom spokesperson told The Hollywood Reporter. Meanwhile, a Hulu spokesperson told the publication that the show will be dropped from its streaming platform, and Laff broadcast network is cancelling reruns of the original series, which ran from 1988-1997 on ABC. 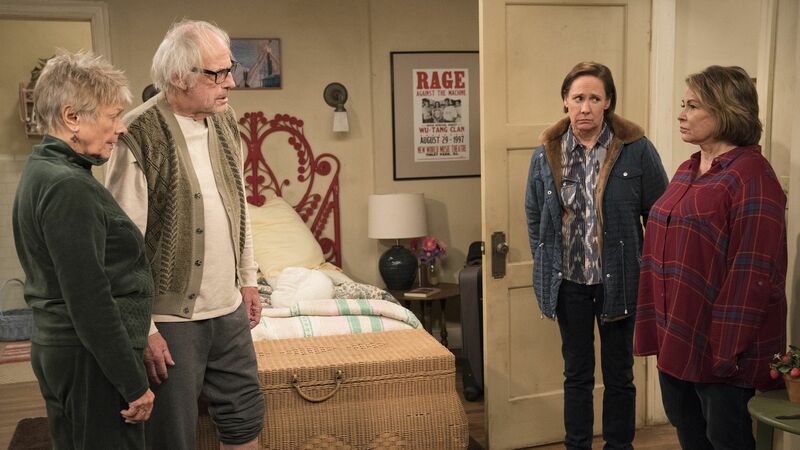 The backdrop: Barr, the star of the ABC sitcom, ignited a firestorm after posting a racist tweet comparing Valerie Jarrett, a black woman and a former special adviser to former President Barack Obama, to an ape. ABC Entertainment President Channing Dungey took immediate action, saying the network is scrapping plans for a reboot that would have been an 11th season. Valerie Jarrett calls Roseanne's racist comment a "teaching moment"